Storage Companies North London. 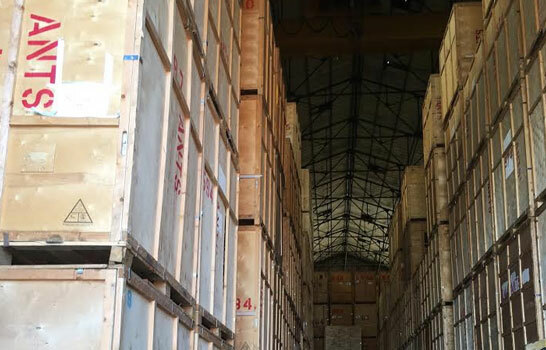 Reliable Storage Hire in North London. 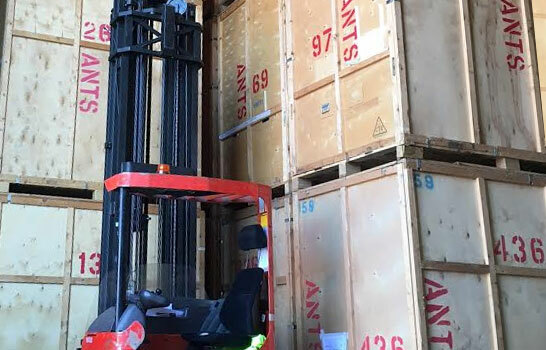 Any items stored with Ants Removals’ secure storage services in North London will be securely contained inside industry standard wooden storage boxes. These can be easily transported by our vehicles, carefully packed by our staff at origin, and safely contain your possessions until the time comes for redelivery to you. Because the wooden box is stronger than cardboard, there’s a reduced risk of loss or damage, and these boxes can withstand handling better. If security is a prime concern, we can even have your boxes sealed shut until you give the instruction for us to open them, or you open them yourselves. We want to ensure that we only quote for the storage you need, which is why our prices vary depending on what you’d like to store. We’re able to store furniture, white goods and a whole host of other items. If you’re not sure your item can go into storage, we’d be happy to advise you. Of all the storage companies North London has to offer, we know that Ants Removals offers the level of security you need wether you need home removals, office removals or overseas services. Our North London-based storage vaults have a capacity of 250 cubic feet outside and around 230 cubic feet inside. To estimate how many you will need select a room from the drop down list and click items of furniture to add them to the vault. Making space in your home or office has never been so easy! Book online and get our free boxes delivered directly to your door and once you’re done with packing, we will take care of the pick-up and transportation to our secure storage warehouse. Simply forget the stress of carrying your stuff to a self-storage unit! Get in touch with one of the storage companies North London based that genuinely cares about great customer service! Read More about Why Choose Us ! We use industry standard wooden storage boxes that can be placed into our trucks to receive household effects packed by our crews at origin. Those same boxes are then use to store the goods and to re-deliver them when the time comes. This greatly reduces handling and the possibility of loss or damage. Boxes can even be sealed by the client and that seal only broken upon instructions received from the client. The price of your secure storage services is dependent on the amount and type of the items that need to be stored. Use our container storage estimator to get a free quote. Being a student is one of the most eye opening times of your life. You and your most valued possessions are transported across the country – or world - starting a new life where you’re responsible for keeping them safe. Not keen to carry your books, laptop, devices, gadgets, kitchen appliances, clothes, bike, musical instruments, and anything else you don’t need back and forth? Why not take advantage of Ants' storage rental North London? Reasonably priced, we offer complete security for all your belongings during gap years, school holidays and outside of term time. 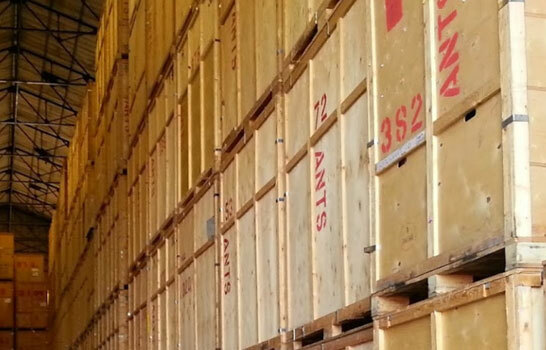 If you’re looking for affordable short term storage North London, your best choice is Ants Removals. Ants’ storage is a low cost way for students to ensure the complete safety of your goods during outside of term time or during a gap year. If you’ve got larger items like furniture, we can provide storage, even at short notice, at our storage service North London base. We offer the temporary storage North London needs. Because we’re incredibly flexible, you can book short or long term storage North London, allowing you to handle moving chains where time is of the essence. You can provide your buyers with an empty house to move in to, preserving that all important chain. Placing your furniture and goods into storage, at even the shortest of notice and for as long as necessary, allows you total flexibility. It will enable you to move out on time and let your buyers move in and preserve the chain. Ants Removals and storage hire North London offer services to both commercial and domestic customers. We can offer a business removals service, with experienced and helpful staff to coordinate your needs during your office move, and a storage service designed to help create a little extra office space if you’re undergoing refurbishment. We’ve got the facilities and resources you need to keep your office equipment safe and secure when you’re on the move. Business storage with Ants Removals helps you free up valuable office space and maximise your property costs. Whether you are undergoing a refurbishment or office move, or just need extra space, Ants Removals has the facilities and resources to keep your office equipment secure. It’s easy to make the move with Ants Removals. Whether you’re moving home just down the road or overseas, our storage services have made things so much easier for our customers. If your move isn’t a permanent one, we can offer long term storage at our North London base. We even offer online booking, delivery of our free packing boxes to your home, and, when you’re all packed, we’ll come and collect your boxes. They’ll be taken directly to our secure storage warehouse, ready for whatever your next move might be. That’s the appeal of our storage solutions North London - we're perfect for a pre-move declutter, making your house so much more appealing to potential buyers.